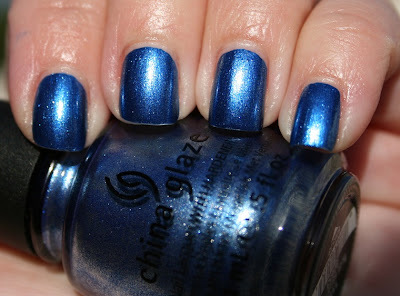 I recently ordered quite a few shades from the new China Glaze Holiday Joy Collection for Holiday 2012 and found myself craving the blue shade first. Blue Bells Ring is so pretty! It was almost a one-coater, but I had a few spots that needed another coat, so I think two coats is best. There are some really pretty glitters in the collection that I'm drying to try, so watch for swatches of those soon! I need this one, bad!